I’ve been eyeing these gorgeous headbands from Rarity By Casey (because this adorable Disney Style blogger Styled by Magic swears by them) - but the shop is usually closed, presumably so she can stock up on product (it's all handmade!) then open it on a specific day - and that way she doesn’t stretch herself too thin. I’ve missed all the dates she’s opened since I discovered her, and then I realized that, while my attempts probably won’t yield the perfect results her customers have come to love, I could probably make something similar. PLUS I have a ton of fabric scraps that are just big enough for this type of project (and not much else), and I can also have matching accessories to go with pieces I already have. The idea really came to me as I was putting together a pair of Tania Culottes to wear to a wedding (blog coming soon) - why not also make a matching headband? Two 14” x 3” pieces of fabric for the bow. Optional: 14” x 3” piece of interfacing if your fabric is not very sturdy. You can do two pieces if you want the bow to be extra stiff, but I found interfacing just one side of the bow fabric was sufficient for me. Attach interfacing if you’re using it. 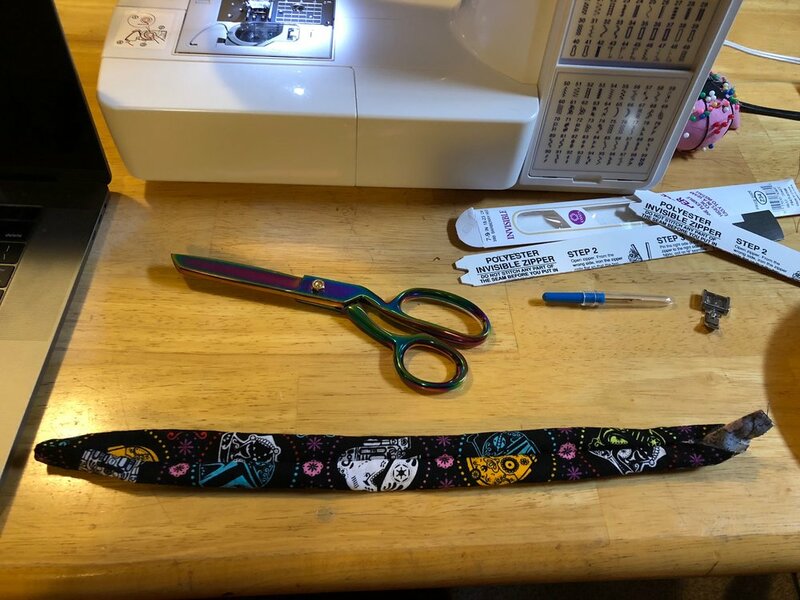 Sew up the long piece in a long tube, right sides together, leaving a hole at one end to insert the headband. Turn the tube right-side-out, then insert the headband. Sew up the hole you left to get the headband in - you can do this by hand for a cleaner look, but since this part of the headband hides behind your ears and in your hair, I decided to just use my machine to stitch it up. Place the two bow pieces right sides together, and stitch all the way around, leaving a hole big enough to turn right-side-out. I left my hole (a couple inches) in the thin part where you’ll be tying the knot so that the knot helps hide those stitches. Turn bow pieces right-sides-out and sew up the hole you left. Again, you can do it by hand or use your machine. I used my machine since this part was getting hidden by the knot of the bow. Tie the bow part around the headband. It can go in the center or to the side, whatever you like best! You can tie it once for a longer bow style, or you can loop it around a second time for a shorter bow and a bigger knot. I prefer the shorter bow, but both are cute depending on what look you’re going for. You can also change it up since you’re not permanently attaching the bow to the headband, just tying a loose knot. This is a quick little project that can be interpreted many ways. You can mix and match the headband and bow fabrics. You could choose to square the edges of your bow so it’s a more traditional bow-tie shape. You could skip encasing the headband at all if you’ve got one you like already and just want to add a bow to it. It’s so quick, too, that after I made my first, the next day I decided to make a second (with this fun Star Wars fabric to match my quilted tote bag) as I waited for my sister to come hang out with me! Of course, please support small businesses like Rarity by Casey - she really does seem to have perfected her headbands and she’s got an amazing assortment of cute fabrics to choose from. 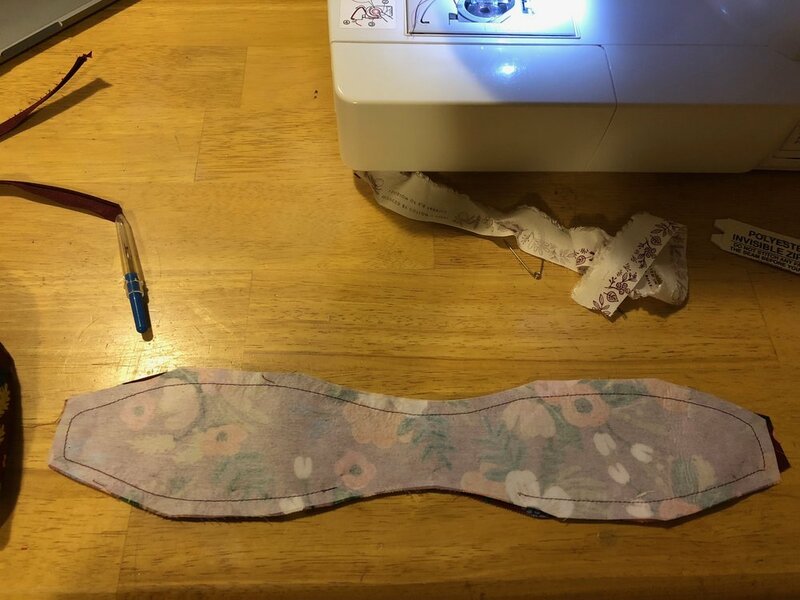 But if you’re waiting on bated breath for her to reopen her shop, and just can’t wait any longer (or if you’ve already got fabric and you need a headband to match your outfit), this quick little tutorial might be just what you’re looking for. P.S. These could make GREAT Disneybound accessories!